Get the facts about secret shopping in this FAQ. What are the requirements to be a mystery shopper? How do I apply to be a mystery shopper? Are there jobs available in my area? Manual aren’t in my hometown. How can I find companies near me? Is the market saturated, or are there opportunities for new shoppers? What do companies look for when they hire shoppers? How long will it take to get my first job? Is it ethical to work for more than one company? What will I do when I’m mystery shopping? May I take my spouse, friend or child with me? Will the employees know that I’m the mystery shopper? How can I order The Mystery Shopper’s Manual? Mystery shoppers go into businesses as customers. They interact with employees, make a purchase and possibly a return, then fill out an evaluation form describing what happened during their visit. Mystery shoppers get paid for providing this service. Any business which deals with the public may use mystery shoppers—stores, restaurants, banks, hotels, salons, home builders, apartment complexes, gas stations, casinos, auto dealers, auto service centers, movie theaters, health clubs, pet stores, amusement parks, optical providers and more. You can get paid to get your hair cut or your eyes examined, have dinner, go to the bank, have your car worked on or fill up the gas tank, watch a movie, get your dog groomed, and lots of other things you like to (or have to) do. That depends on you. Many shoppers do this in their spare time, and earn $100, $200, or more per month. Some consistently earn more—often a lot more. It is not unusual for a part time or spare time shopper to make $500 or more per month. Some shoppers work for a large number of companies, or are full time with one company, and make their living this way. There are some mystery shoppers who shop full time and earn a living this way. It’s not easy, though, to be a full time shopper. It will probably require that you work with a large number of mystery shopping companies—perhaps 50, 80 or more. You will have to juggle lots of assignments with different requirements, due dates and report formats, so you must be very organized and disciplined. Fees for a mystery shop (including purchase reimbursement) may range from about $10 or $20 on up to $50, $100 or more. Fees will depend on the time required, difficulty, etc. The time required to complete a shop and fill out the form may be a few minutes to an hour or longer. You can be any (adult) age, male or female. You may be employed, self-employed, unemployed, retired or a full time homemaker. You need to be observant and able to follow directions. You must be reliable. You don’t have to have a degree or any special training or experience, although experience in customer service (such as having worked in hospitality or retail) is helpful. The mystery shopping companies will provide any training you need. Companies often use the Internet to recruit shoppers, make assignments, and complete reports. Internet access is becoming a necessity to work with most mystery shopping companies, but there are a few that don’t require it—especially some of the small, local companies. In most cases, you won’t be hired directly by the business you’re mystery shopping. You’ll be hired by a mystery shopping company contracted by the business. The Mystery Shopper’s Manual includes complete instructions on submitting applications, plus contact information for more than 100 mystery shopping companies. You can apply to as many or as few of those companies as you wish, and the Manual makes it easy and fast to do so. If you live in or regularly travel to an area where there are national or regional chain stores, banks, and restaurants there are certainly mystery shops being done there. Almost any business that does business with the public may be mystery shopped, although most “Mom and Pop”-type businesses don’t use mystery shoppers. New shoppers are being hired all the time as businesses begin new mystery shopping programs, programs are expanded, new locations open, shoppers move or quit, etc. Chances are that there are mystery shopping companies actively seeking mystery shoppers in your area. Jobs don’t exist only in heavily populated areas. There may be more jobs in a major city, but there are also more shoppers competing for those jobs. In fact, you may find yourself in demand if you live in a sparsely populated area because it is often difficult to find shoppers in those areas. Do a good job, and you will be highly valued by mystery shopping companies and schedulers, who will give you as much work as they can. The mystery shopping companies listed in the Manual aren’t in my hometown. How can I find companies near me? Manual) hire shoppers all over the country or even all over the world. For example, if a mystery shopping company is hired to shop all the locations of a national restaurant chain, they will need shoppers in every town that has one of those restaurants, including your town. But there are also local companies which shop only in your area. You’ll learn how to contact them, too, in The Mystery Shopper’s Manual. There is a lot of competition for mystery shopping jobs, but there are still opportunities for new shoppers. Mystery shopping companies must constantly recruit because businesses begin new mystery shopping programs, companies get new clients, current mystery shoppers quit or move to a different area, etc. Additionally, most shops must be rotated among shoppers. For example, if a restaurant is shopped twice a month, and the client requires that a shopper may repeat the shop not more than once every three months, the mystery shopping company will need at least six shoppers (and probably more) just to handle that one location. Most importantly, they want to know that you are reliable, observant and able to follow directions. They will train you on how to mystery shop. If you apply to several companies, you may get your first job within three to six weeks. Some shoppers have reported getting their first assignments the very same day they applied, but this isn’t typical. The more companies you apply to, the greater the number of jobs you are eligible for and the sooner you will get an assignment. The more flexible and available you are, the more jobs you can get. Most of the time, you won’t hear from a company unless they have a job for you. So don’t worry if you don’t hear from some companies right away, or ever. It’s probably not personal. They just don’t have a need for shoppers in your area. You might consider contacting them again in six months or a year. Most companies understand that you will work for other companies. They know that they can’t keep you busy all the time, and you want to work. Whatever you do, though, don’t share information about one company with another, and don’t share one company’s report forms, completed evaluations, or other confidential information with another. Be professional and be discreet. You’ll be given specific instructions for completing your mystery shop, and the company will provide training (usually in writing or over the phone). They will gladly answer your questions, so don’t be afraid to ask. They want you to be comfortable doing the shop, and they want you to get it right. While you are mystery shopping the business, you will be observing things about cleanliness, service, quality and other standards important to the business and its customers. Questions on the evaluation might include things like: Were you greeted within 60 seconds? Were the floors clean? Did the person who took your order suggest additional items? Was the salesperson able to demonstrate product knowledge by answering your questions? Was your food fresh and served as you ordered it? Did the cashier count back your change and say thank you? Was the rest room clean and fully stocked with soap and tissue? When you leave the business, you will enter the answers on a report form or write a narrative report describing what you saw. Sometimes, if it is a place they would normally go with you. For example, you might take your children to the grocery store or a family restaurant, but perhaps not a more formal restaurant. Don’t take anyone else along if they will distract you from properly completing your assignment, or if you have not been told that you may. Remember you are a mystery shopper. If you have young children, don’t tell them you’re mystery shopping. You don’t want them asking, loudly, in the middle of a shop, “Mommy, are we doing the mystery shop now?” Adults who accompany you must know that they are not to talk about mystery shopping or give away that you are the shopper. Follow the Action Plan in The Mystery Shopper’s Manual. While I can’t guarantee that you will get a certain number of assignments, if you follow the instructions here you will get hired. The more companies you apply to, the more jobs you can get. Click here for more information about The Mystery Shopper’s Manual. Mystery shopping is a flexible and enjoyable way to make money in your spare time. Yes, you can really get paid to shop. Mystery shopping is easy and fun, and it is a great way to make extra money in your spare time. Most assignments can be completed within a range of days and times, so you have flexibility about when you work. The mystery shopping company will offer assignments that are close to your home, so you can do the shops while you are running other errands. Most shoppers get started because it is fun. They love to get “free” food and merchandise, and even make a little money while they’re getting this free stuff! If you are interested in working flexible, part-time hours, and getting paid to shop and eat, mystery shopping may be for you. In The Mystery Shopper’s Manual, you’ll learn exactly how to locate mystery shopping companies who need shoppers where you live, and start getting assignments from them. You will get all the information you need to sign up with one or many mystery shopping companies. You can have fun and make money providing a needed and valued service as a mystery shopper. Sign up for a free online mystery shopper course. Today’s business environment is extremely competitive. Those companies which fail to provide excellent service will not survive. Studies show that a satisfied customer will tell three other people about his experience. A dissatisfied customer will tell ten to twelve people. Not only do companies face loss of business from poor service, the actions of their employees may even cause them to be sued by customers or fined by the government. With so much at stake, you can provide a service by identifying potential problems which the business owner can correct before they result in a major liability. Shops have different objectives. In general, shops are done to find out about the level of service provided to customers. However, mystery shoppers may also be asked to verify that cashiers are properly handling cash, that salespersons are knowledgeable about the merchandise they sell, that the store is safe for shoppers, etc. You may even be asked to shop your client’s competitor, so the client can compare its operation to others. Mystery shoppers are the eyes and ears of the business owner. You tell him how customers see his business. Most businesses have service standards and rules for safety and security. As a mystery shopper, you tell the business owner whether his employees are living up to the standards and following the rules. When you do a shop you are seeking answers to questions. Were you greeted when you entered the store? Were the shelves properly stocked? Was the store clean? Did the rest rooms have soap and tissue? Was the salad bar completely stocked with fresh vegetables? How long did it take to be served? Did the salesperson tell you about the available service contract? Did the cashier properly count out your change? After you leave the store, you fill out a form describing what you observed. Businesses use the information from your reports to reward good employees, identify training deficiencies, make stores safer for employees and customers, and much more. You may think of restaurants or department stores when you think of mystery shopping, but almost any business that deals with the public has a need for mystery shoppers. Although many times a shopper makes a purchase, other times a shopper may simply evaluate the service or information provided to potential buyers. For example, if you are hired to shop a car dealer you don’t get a free car, but you will be paid for your time in asking questions about the cars and financing options, and writing a report describing your experience. Mystery shoppers are also used by the government to check up on the businesses it regulates. Can You Make Money Doing This? How Much? A contract mystery shopper could reasonably expect to make $100 or more a month in cash, food and merchandise by doing an average of one shop per week–perhaps a total of two to four hours work over the month. By contracting with five, ten or even more companies, the number of shops and your income will increase. Some shoppers work for many companies and actually earn their living mystery shopping. While that’s not typical, it certainly is possible. Most shoppers work part time or spare time and earn a few hundred dollars a month. You may receive reimbursement for your expenses, an allowance for purchases (at stores and restaurants), and a fee for completing the report. Your pay will depend on the type of shop, the time required, etc. It seems that mystery shopping companies are always looking for shoppers. The business is growing rapidly, and there is a lot of demand for shoppers. Plus, companies can’t send the same people into their client companies month after month–they need new shoppers to serve their existing clients. So you will be able to find jobs. To learn how to find mystery shopping companies, what they look for, and how you can get paid to shop and eat as a mystery shopper, get your copy of The Mystery Shopper’s Manual. The manual includes a list of more than 100 companies hiring mystery shoppers all over the U.S., Canada and other countries. Click here to order using our secure order form. Whether you are a newbie looking for information on becoming a mystery shopper, or want to know how to find more legitimate mystery shopper jobs, a good message board can help you learn what you need to know. Looking for information about the top mystery shopping companies, or how to find mystery shopper jobs in your city or state? Whether you are a newbie looking for information on becoming a mystery shopper, or want to know how to find more legitimate mystery shopper jobs, a good message board can help you learn what you need to know. When posting to a public message board, please keep in mind that as mystery shoppers we agree to maintain the confidentiality of proprietary information. Proprietary information includes the names of mystery shopping clients, fees, questions on report forms, etc. That means you should not post questions such as, “Who shops Olive Garden?,” or “How much does Mystery Shopping Company X pay for their high end restaurant mystery shop?” And you do not want to answer questions such as these, either. Of course, keep in mind that not everything you read will be completely accurate. One shopper complaining about a company does not mean the company is unreliable. However, dozens of shoppers with similar complaints should alert you to the fact there may be a problem. Even if you never post to a message board, searching and reading a mystery shopping message board can educate you about the mystery shopping industry and help you network with others. Confidentiality and mystery shopper forums are covered in The Mystery Shopper’s Manual. An advantage of video over written reports is that the client can see exactly what happened, and not have to rely on the written impressions of the mystery shopper. The employee who was shopped can view the tape and see exactly how they come across to customers. Shoppers hired to do video shopping often have experience in mystery shopping or using video equipment. New mystery shoppers should get experience in standard mystery shopping before attempting a video shop. If you are asked to do a video mystery shop, you will be taught how to use the equipment and conduct the shop. The mystery shopping company will provide the video equipment for you. You may pick it up from a local location or it will be shipped to you. Video mystery shoppers often receive higher fees than mystery shoppers doing a standard written report. Fees start at about $30 and can go up to $150 or more. 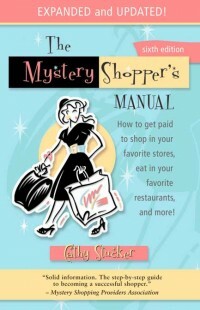 Cathy Stucker is the author of The Mystery Shopper’s Manual. Sign up for her free online mystery shopping course. For more information on mystery shopping and video mystery shopping, see The Mystery Shopper’s Manual. Learn how to avoid scams and keep yourself and your data safe online. This article tells you how to spot a mystery shopping scam. More on check scams from the Federal Trade Commission. How to spot a phishing scam. A twist on phishing scams using online surveys. Your password is not private. Learn about Roboform to create, manage and remember your passwords. 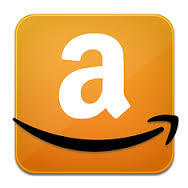 Download a free trial. Keep your data secure online. Includes resources for Virtual Private Networks (VPN) and more. Also see the links at the end of the article for more information on data security from Leo Notenboom of Ask-Leo.com.